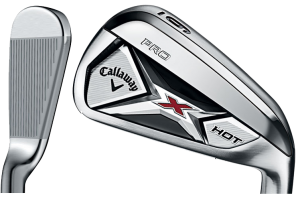 After several years of poor sales Callaway Golf has rededicated itself to getting back their top position in the marketplace and to that end the new X Hot Irons have already created some buzz. The Callaway marketing message calls them “aggressive irons,” but more on that later. 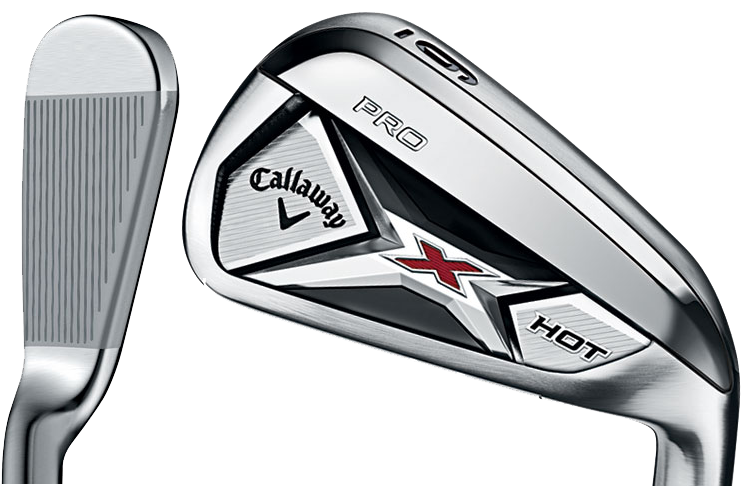 X Hots are really nice looking particularly the Pro model and both are now in shops, ready to be tested. Street prices are $700 for the regular model (in steel 4-iron through AW) and $800 for the Pro model. They are also pushing the idea X Hot’s give the user lots of added distance as though that was something good. I thought the whole idea when hitting an iron is getting it close to the hole not just hitting it far…but then maybe I’m too picky when it comes to the hyperbole being used by Callaway’s marketing department. X Hots have an undercut cavity in the back and they used the Speed Frame Face Technology first seen in several of their driver models. 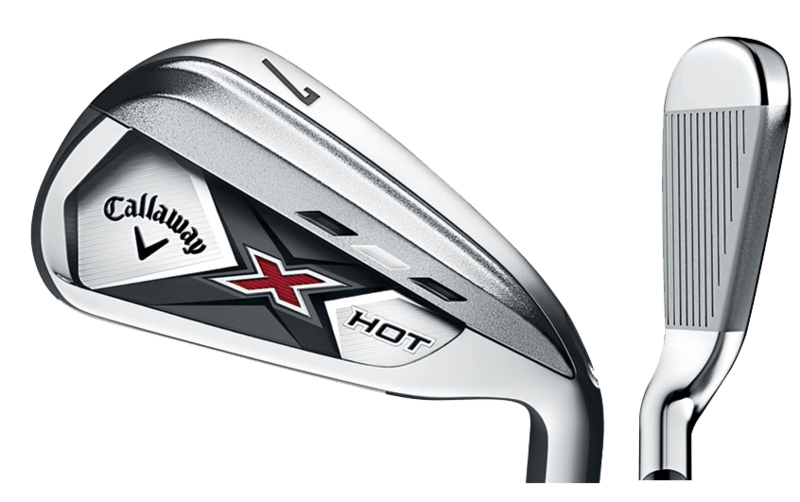 The X Hot Pro Irons have different face engineering, J-Face Dynamics, which combines careful control of face thickness across the entire width with the depth of the undercut. Though I have no inside information from Callaway, the “aggressive irons” reference has to be to the use of stronger lofts compared to what is thought of as the modern “standard” though that “standard” is in fact a lot stronger than that used the past. For example a modern 4-iron typically has 26 degrees of loft and the X Hot regular model 4-iron is 20 degrees. The X Hot pitching wedge is 44 degrees versus the more acknowledged loft is 50 degrees or perhaps 48 degrees. The truth is however; all the club manufacturers are doing the same thing and have been in recent years so we must not judge Callaway too severely.